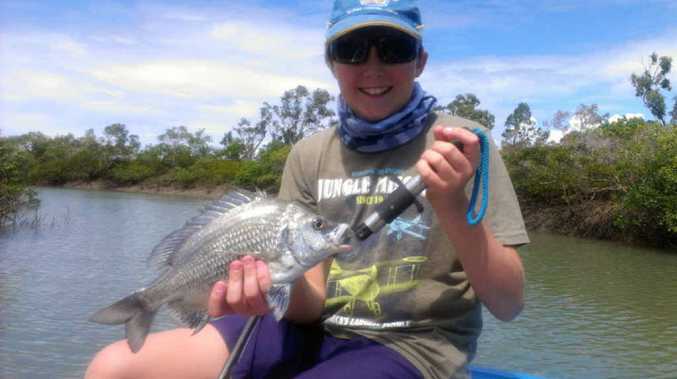 BEAUT BREAM: Brenny Reed with a fine lure-caught bream. WITH the forecasted wind hovering around 10 knots there could be opportunity to get among some quality fish this weekend. The start of the rising tides should be favourable for the bottom bashers with the slower run in the water. A few of the lucky ones got out during the week and scored some quality red emperor, coral trout, parrot and redthroat emperor for their efforts. The grounds out a bit have been working the best, although the old diary shows that in dry years we have had some great fish caught not far past the islands. Remember that the coral reef fin fish closures start this coming Monday, November 9, and finish on Friday, November 13, inclusive. And wouldn't you know it, the forecast for Monday is five knots or less. Tony Shaw from Wraptor Art caught this little flattie. Mackerel fishers will be pleased to know that there are still plenty of mackies around, from doggies and spotties up to spanish mackerel. Some of the captures this week were made without having to travel that far. I was also told about a couple of fellows fishing Findlay's expecting doggies, spotties or the odd grey, who were caught out big time. Their floating pillies got cleaned up by some fast-moving streaks that didn't even look like slowing down on the light gear they were using. The most likely suspects were spanish as some reports of the odd decent fish taken at Forty Acre and Ross's Reef came in over the past days. Cobia have been a bit patchy this year compared to other recent years. 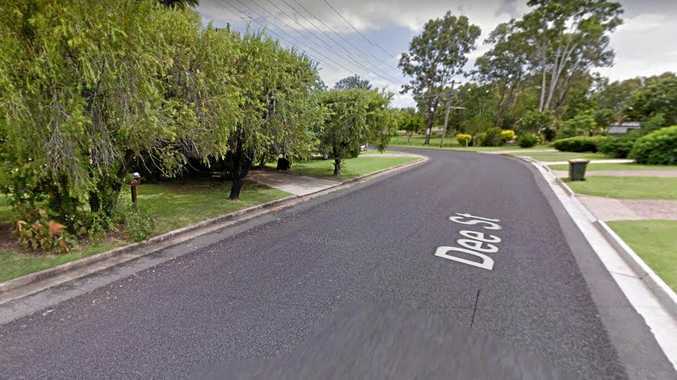 They have been at one spot one day and not there the next. This has good and bad points. Your first big cobia on light gear will be something you remember forever but on the other hand when they take baits meant for more prized species, they can be quite annoying. 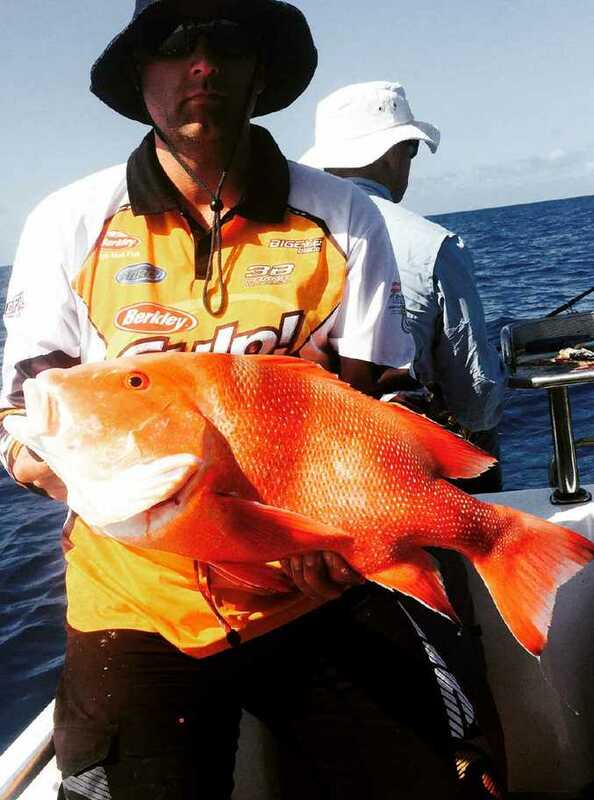 Ross Angel with a nice red caught out from Yeppoon. We always like to take one or two for the barbecue when we have visitors. Barra season rounded off with a few nice fish landed around the area. Now the other estuary species will get a little more attention. It is illegal to target barra at all over the closed season. 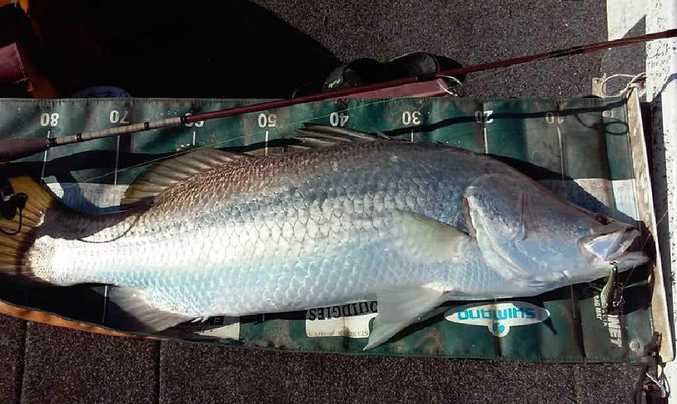 Bream, flathead, whiting and salmon have been the main catches around the area, with a sprinkling of mangrove jack and fingermark. A couple of blokes up the creek last week said to let everyone know that there aren't any crabs at Corio. Well I know there aren't very many, but back at the ramp another guy showed me one of his best crabs for the year. Most of the crabs that are there will be floaters, which means they need a few weeks to fill their shell before making them worthwhile keepers. Adrian from The Secret Spot caught this as his last barra for the season. I ordered a custom brag mat from Wraptor Art this week. You can get any design you wish on the mat, making then an ideal Christmas present unique to the owner. Thanks again to Bluefin Sports, Rosslyn Bay Kiosk, the Causeway Lake Kiosk, Stanage Bay Marine, The Secret Spot and Kalka Bait and Tackle which are the local weigh points where you can get your photo taken or just drop yours in. Send your emails or photos in to be eligible for any of our $50 random voucher draws. Contact me at ifishcq2@bigpond.com.